I have two cards to share today. When I made the first one, I thought it was plain awful, specially because I had used a semi transparent orange-yellow DYMO label for the greeting. Later I changed it to a lemon yellow strip of card stock, which I think made the card more acceptable. I think they both turned out great! But, I admit I favor the first one. It’s a beautiful study in contrasts. I’d love to know what background stamp that is. These are both totally awesome Tasnim!! I love how the concept is the same, but you totally changed up each card by reversing the black/white emphasis and the arrangement of your flower colours! 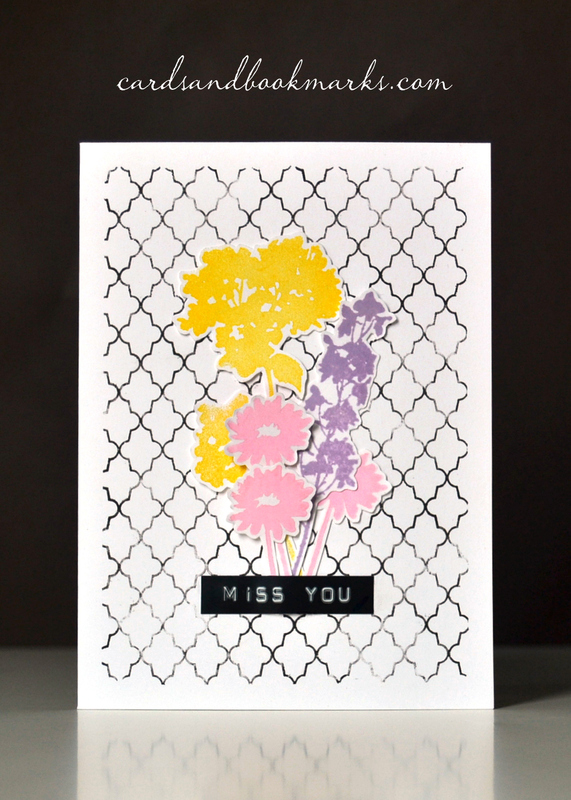 Beautiful, beautiful cards – so striking!! Thanks so much for playing to Cure The Monday Blues! 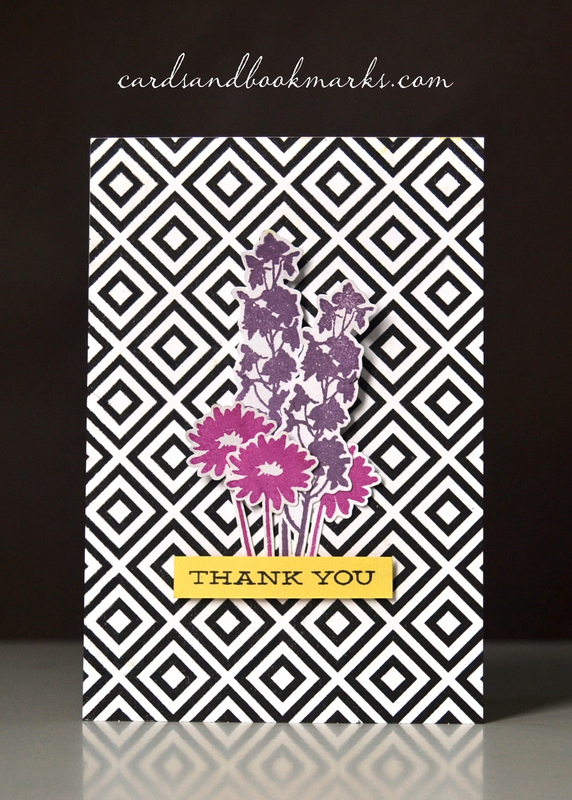 Beautiful cards, Tasnim…but loved the first one because of contrast! Ooh, I love both cards and the first one is definitely a winner! Congrats, Tasnim! How can I love both of these cards so much? They’re like the flip sides of a single coin, both gorgeous! Congratulations, Tasnim. Plain awful and acceptable are words that don’t cross my mind when I think of your cards or when I see them… The first one is simply perfect for the inspiration picture. That first card is gorgeous! And did you fussy cut those flowers? ?